There are many different ways you can begin to accumulate silver. The best way is to visit a local coin dealer to make your silver coin purchases. Apart from that traditional method of buying precious metals, there are a variety of Internet resources available for you to expand your precious metals portfolio. Following are some of the ways I'm getting silver and recommend you do too. OWNx is designed to provide an easy and safe way for people to save in silver, insured and stored at a highly secured, independent non-bank depository located in Delaware. 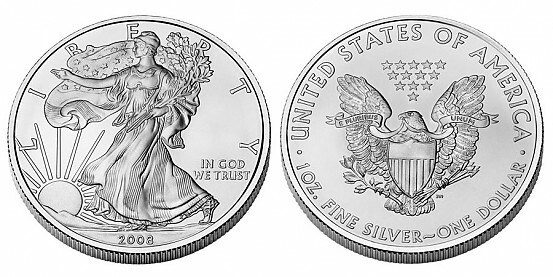 Once you have saved enough for a minimum delivery of at least 20 ounces, you can have your silver delivered to you. When you set up an automatic saving schedule (e.g weekly, monthly, etc.) with OWNx, each time you save, their Instant Rebate program automatically deposits 20% of the premium to your account in silver. OWNx provides you with your own Silver Rewards link or Share-Code that you can give others when they sign-up to save. Once they do, an amount equivalent to 50% of the premium for their transactions is added to your account in silver each time they save. Silver Gold Bull - Your Trusted Bullion Dealer buys and sells gold, silver and platinum bullion rounds, coins, wafers and bars. We are one of the leading precious metals dealers, also specializing in sales of top-rate coins storage accessories like monster boxes and steel pails. Our pure bullion is produced from prestigious mints such as the Royal Canadian Mint, US Mint, Austrian Mint, Perth Mint, NTR Metals and more. If you have questions about accumulating silver, or if you just want to talk about silver, please give me a call at the below number. You can also find me through my personal Facebook profile.